CDL's net debt to equity ratio has surged from 10% in Q1 to 18.9% in Q2. It’s turning to be an increasingly bad year for real estate. 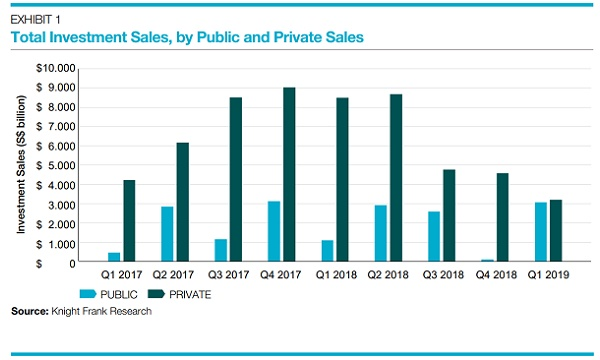 From a frenzied first half, developers have been booking higher leverage levels in Q2 on the back of intensified land banking activities prior to the government’s surprise cooling measures, according to a research note from OCBC Investment Research (OIR). Overall net gearing ratio, which measures total debt over total shareholder’s equity, rose by 6 ppt to an average of 58.7% in Q2 although OIR believes such level of leverage remains largely manageable. The net debt to equity ratio of City Developments Limited rose from 10% in Q1 to 18.9% in Q2 as it stepped up lending to acquire land sites for Amber Park and Suman Walk. Share prices of listed developers have also nose-dived following the property curbs with total returns largely in negative territory after ranging between -22.5% (CIT SP) to +28.7%, with City Dev faring the worst after returns plunged 22.5% from July 6 to September 13. Roxy-Pacific and KSH Holdings were not exempt from the dismal market environment after total returns fell 14.3% and 12.3% respectively over the same period. Similarly, UOL Group, Wing Tai Holdings and Yanlord Land Group also booked lower returns at -11.6%, -4.4% and -3.3% respectively. 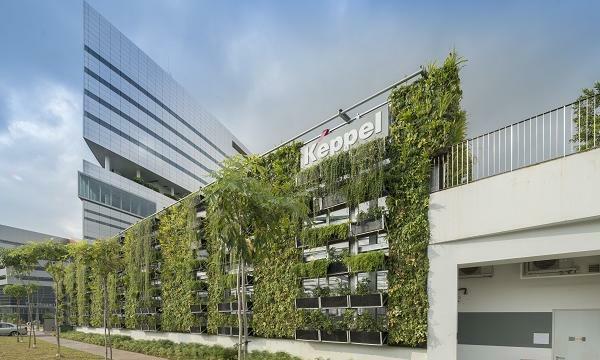 Only CapitaLand, Hotel Properties and Wheelock Properties were able to weather the downturn and post positive returns. 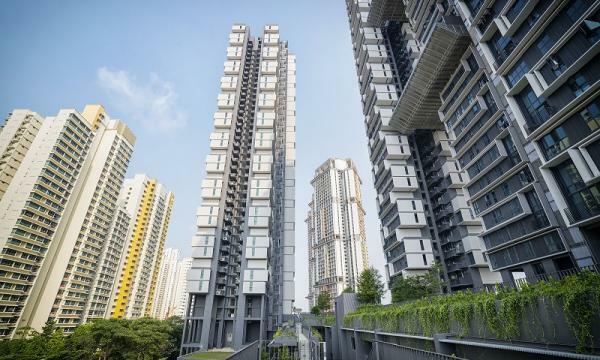 “Using the FTSE ST Real Estate Holding & Development Index as the benchmark, we note that valuations for SG developers are undemanding, given that the blended forward P/B ratio currently stands at 0.55x, which is 1.6 standard deviations below its 10-year average of 0.78x,” added OIR. However, the decision to hike the Additional Buyers Stamp Duty and tightened Loan-to-Value limits has largely made itself known in dismal take-up figures. Around 166 units of The Tre Ver were sold at an anticipated selling price (ASP) of $1,552 psf. Parc Colonial, fetched an ASP of $1,702 psf, which is around 8.8% higher than The Tre Ver. S P Setia’s Daintree Residence delivered an ASP of S$1,705 psf since its end-July launch, but fell below their $1,800 psf expectations. 8 Saint Thomas by Bukit Sembawang saw healthy ASPs of $3,181 psf partly due to its freehold status, but only 18 units were sold as of September 2. Upcoming launches have also been hit with the indicative pricing for Qingjian Realty Jadescape ranging from around $838,000 (~$1,590) for a one-bedroom unit to $1.86m (~$1,477 psf) for a four-bedroom unit - figures that fall below initial expectations for an average ASP of $1,700 psf. Amidst a dismal market environment, developers have been ramping up asset sales and turning to more profitable markets to offset downward pressure on profitability back home.